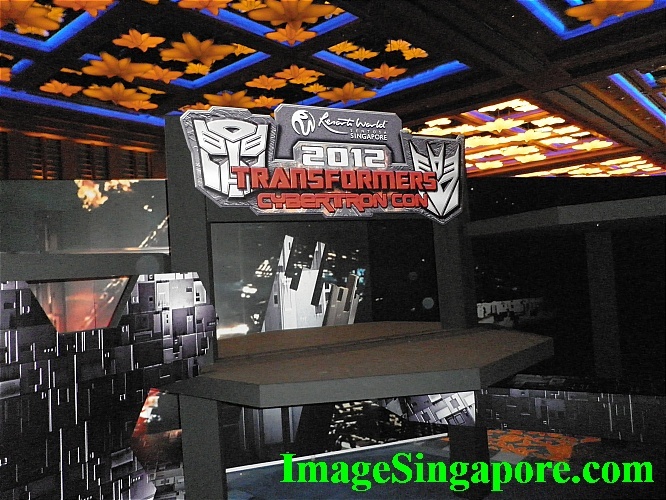 Just last week, I went to the Transformers Cybertron Con 2012 held in Resort World Sentosa. I am not a big fan of Transformers even though I do watched the movies. 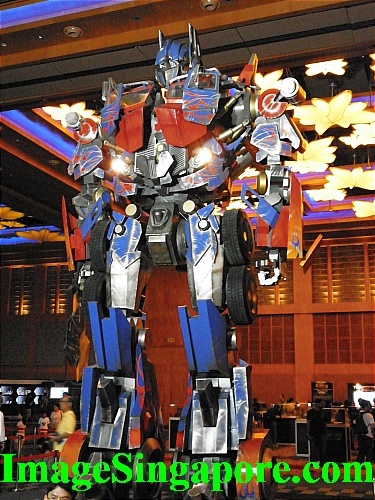 One of the main attraction of this event was giant size – 22 feet Optimus Prime on display. 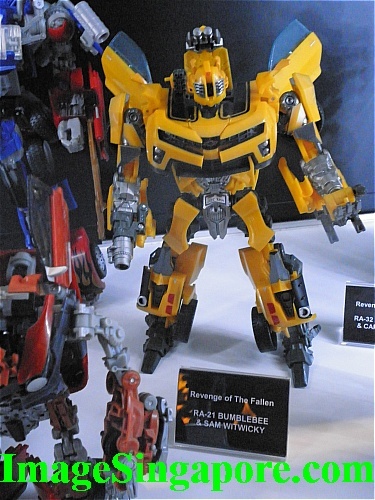 Besides this, there was also a comprehensive range of Transformers toys on display; from the past to the present. I bought the entry ticket at the booth which start at $12 onwards. There were lots of parents bringing their noisy kids along as it was also school holidays at that time. But there were many young adults and teenagers too; many should be avid fans of Transformers. When I looked at the 22 feet Optimus Prime; it was very tall but not so spectacular as I expected. It would be great if the giant Optimus Prime could make some basic movements like extending out its arms. 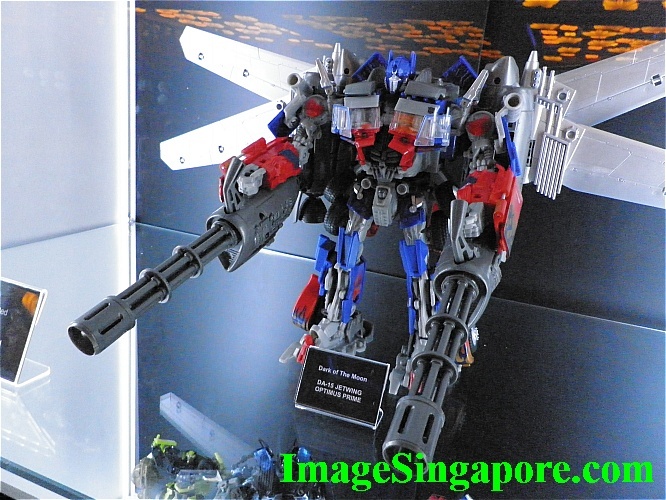 Also I felt that the head of the Optimus Prime was really too small that you can hardly see it. The body was too overwhelming with different parts sticking around its upper torso. The arms and legs are huge but the hands are too small. 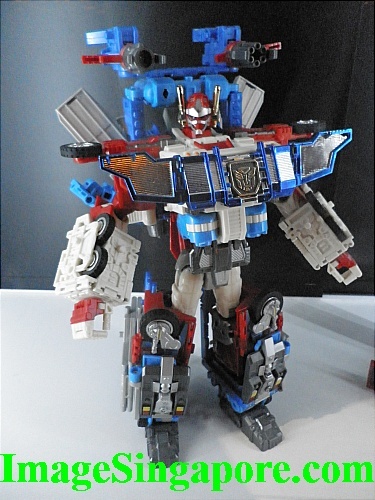 I don’t recalled Optimus Prime looking like this – maybe this is the latest version. 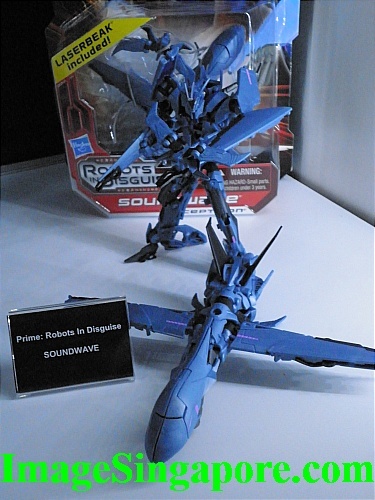 I think the best part of this event was the huge collection of Transformers toys on display. 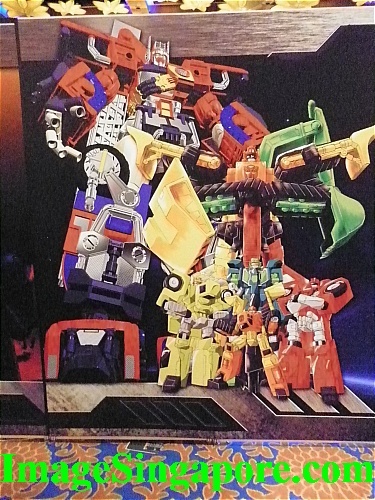 I think there should be more that 1000 Transformers toys – ranging from the earliest series to the latest; and there is the Japanese version as well. It took me more than one hour just to view all the toys; and I really enjoyed it even though I am not a Transformers fan. I saw parents buying toys for their kids; and young children sitting down watching Transformers movies. This place is almost liked a carnival for kids to enjoy themselves. One thing that can be improved upon was to put up benches around the exhibition corners for parents and visitors to sit and rest. My feet does get tired after standing for 2 hours and I don’t want to watch the Transformers cartoon movie just to sit and relax. 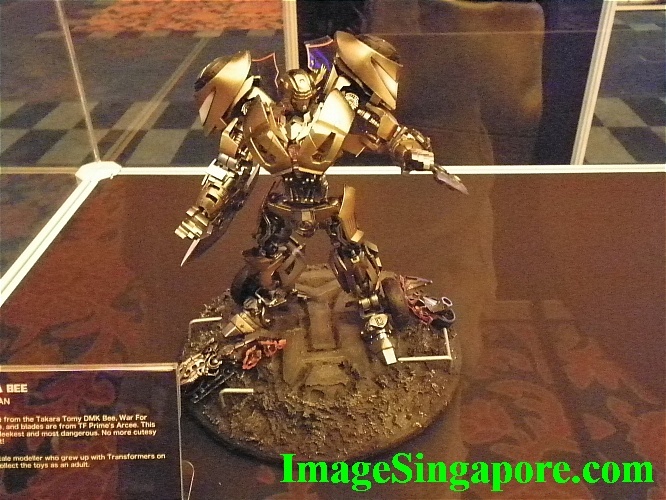 Perhaps the next Transformers Cyberton event could be held in more central location as in Suntec City Exhibition hall or Expo Exhibition hall next to Tanah Merah MRT. These 2 locations are definitely more accessible and convenient for the public. Getting to Sentosa means that I need to take a monorail or bus into Sentosa island – a waste of time and incurring extra transport charges too. 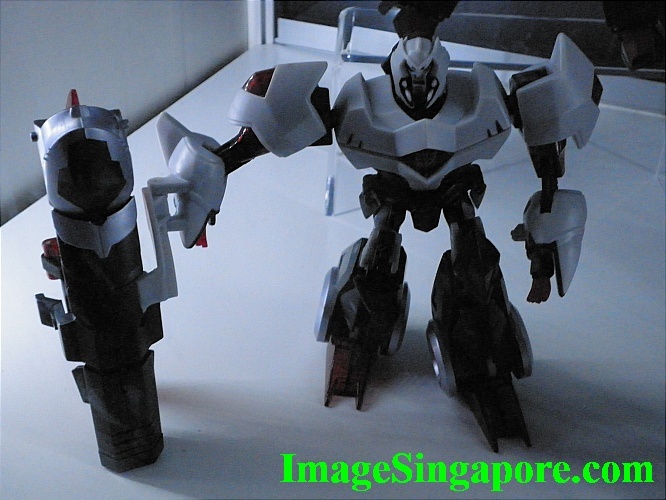 I will try to put up the range of Transformers toys photos into my photo gallery section of my website at ImageSingapore.com as soon as I have the time to do so.